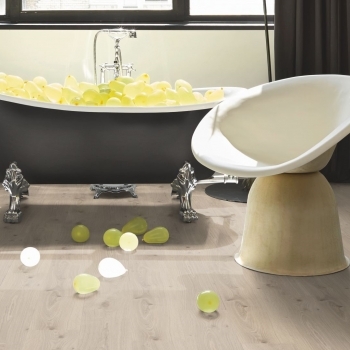 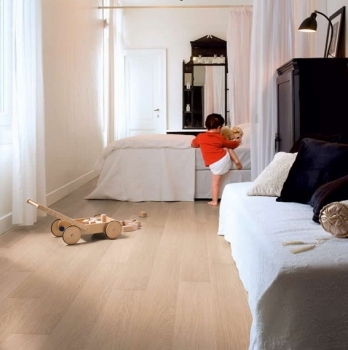 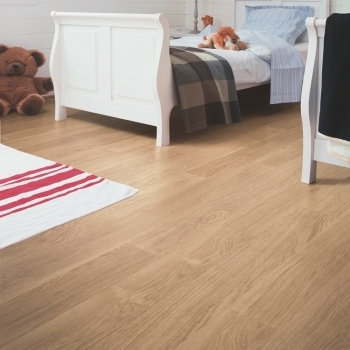 Create a timeless look with this beautiful bleached oak effect brushed texture laminate design. 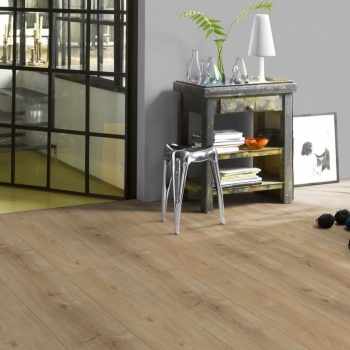 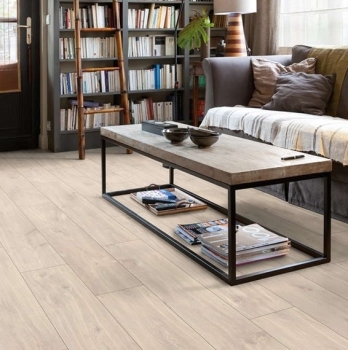 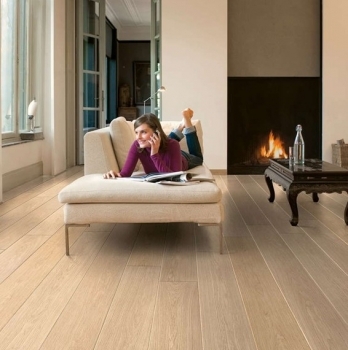 A timeless limed oak effect single plank laminate from Parador. 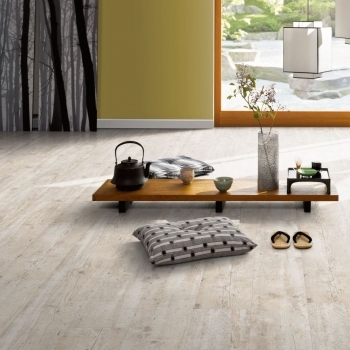 a clean and spacious look for your home. 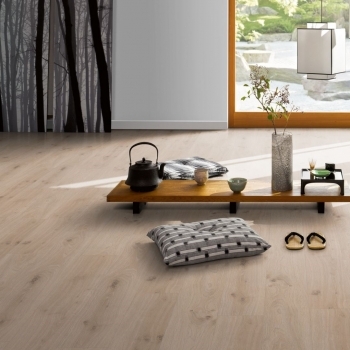 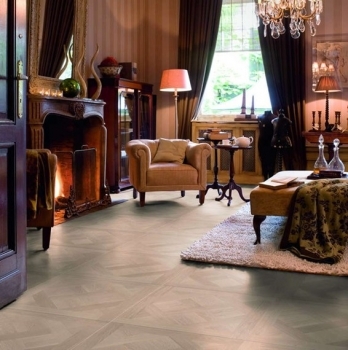 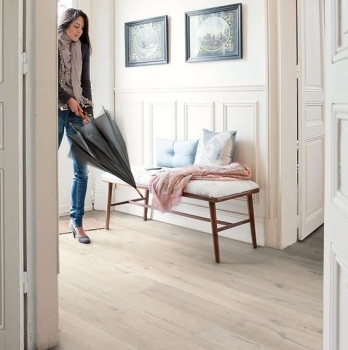 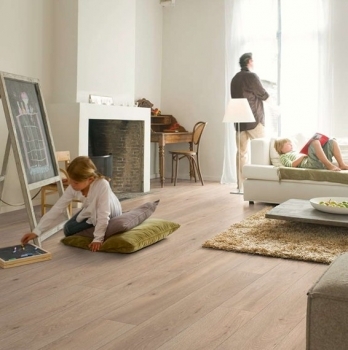 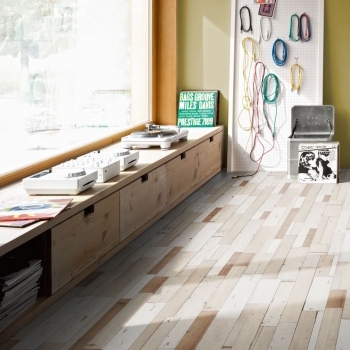 Quick-Steps Verailles White Oiled effect is always on trend with its parquet effect.